Jessie Mueller and the cast of Beautiful strike a pose with the new work of art. 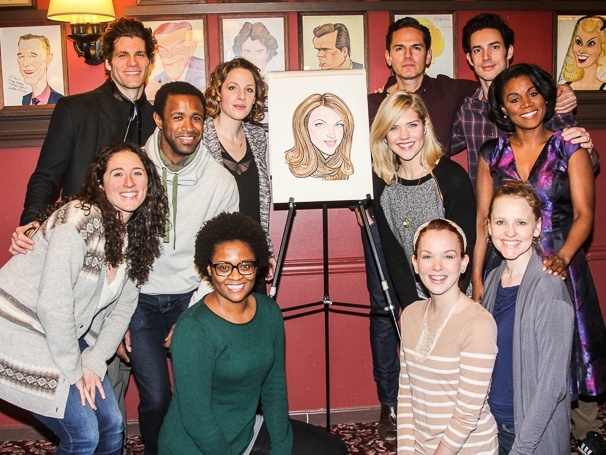 Tony winner Jessie Mueller had “some kind of wonderful” day at Sardi’s on January 23—the star of Beautiful: The Carole King Musical was surprised with a portrait at the legendary Theater District restaurant. Click for photos, then see her in Beautiful at the Stephen Sondheim Theatre!